As a Homeowner you want a permanent surface. Let me tell you about Silane (also used in the Dental industry) molecular bonding agents finish coated with copolymer infused with silicone resin and polyester resin and why it is the ONLY way to properly refinish a surface! So you don't end up with a peeling mess from inferior paints like epoxy and aliphatic acrylic urethane. 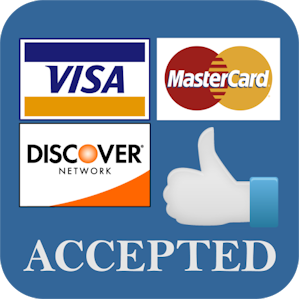 If your not interested in reading but just want prices and contact information then please click F.A.Q. I am an owner operated business I am providing the best coating and process on the market, completing the work myself at the very best prices I can give to make a living and give top quality coatings and results. I do no upselling and low ball pricing just to get in the front door. You will find me to be honest, transparent, very friendly, professional and I never rush a job. Your not just another job to me! Bathtub, Shower and Tile refinishing is all I do! I am not a "jack of all trades" and I do Residential work only. My specialty is Bathtubs (porcelain overlay (steel, cast iron) fiberglass, cultured marble and acrylic, tile, showers and shower pans. You will find me very friendly, Christian, professional and respectful! Let's Answer (4) Questions you must have... right off the bat! What is included with the bathtub refinishing Dallas / tile or Shower refinishing Process? Well.... Let's start below! 8 YEAR Warranty Included! Are You Ready To Instantly Update Your Bathroom? Works on Cultured Marble | Fiberglass | Porcelain |Cast Iron| Stainless Steel | Acrylic and more! 1.) What's Included and How Is Our Process Different? Refinishing is a synergistic process that involves etching the old surface (without dangerous acids), Silane molecular bonding agent and the correct finish coat that is for bathtub, shower and tile refinishing. Silane ... High Quality Silane molecular bonding agent is a very, very crucial step for longevity! Combined with fiberglass resin on select surfaces.Silane is activated by moisture. When you use hot water on the new surface condensation forms on the back side of the coating. This is exactly why we see so many painted tubs rupture and peel. High quality silane is about the same price as the finish coat so unfortunately it is skipped by those looking to increase profits or simply don't understand the importance of the extra cost associated with proper refinishing. As the condensation forms on the underside of the new surface the silane is activated and chemically welds the new and old surface together creating a permanent bond. You are Going To LOVE Your New Surface! 2019 Sale Prices Going On Now!! Owner/Operated = I do all work myself. No Day Laborers, No Sub Contractors. Best Price for the highest quality products because my overhead is LOW. How Long Does Bathtub, Shower And Tile Refinishing Last? Because of the epoxy paint used in the 1990's and sadly still used by other refinishers and D.I.Y. kits. There is a common misconception that bathtub refinishing will peel and flake off within a few months. This is why being knowledgeable about the refinishing process is so important for the consumer! You will see prices from $200 up to $900 depending on the company and the consumer needs to aware of what they are getting for the money! Bathtub, Shower and Tile Refinishing is a permanent solution when the correct products and steps are used. Being an owner / operated business I am able to promise those correct steps are used because I personally do each and every job! I also keep my prices low because I do the work myself instead paying sub contractors a percentage. The consumer needs to be aware that while other refinishers use glorified paints that are water resistant such as epoxy and acrylic urethane. Dallas Bathtub Services uses only water - proof copolymer finish coats infused with silicone and polyester resin. Learn about the specifics of different surfaces As mentioned above only the highest quality silane molecular bonding agent is used under the finish coat and silane is also used between each of the 9 - 12 finish coats applied! Dallas Bathtub Services uses Silicone Injected copolymer it is NOT like Epoxy or Aliphatic Acrylic Urethane paint. Instead it is the actual coating recommended for bathtub, tile and shower refinishing! High quality silane developed by the aerospace Industry (used in the dental industry for porcelain fillings and other bonding applications. What goes under the coating is just as important as a quality surface! Silane was developed for high altitude aircraft subjected to temperatures that cause condensation. Silane is activated by moisture allowing it to form a chemical weld between the old surface and the new coating. So when you you use the surface with hot water the condensation that forms between on the back side of the new surface activates the high quality silane causing it to chemically weld the two surfaces together. Having a high quality silane is crucial! Having a high quality fully water proof (not water resistant) finish coat is equally as important! Silane is a molecular bonding agent borrowed from the aerospace industry. Silane comes in different qualities. An example of this would be adhesion promoters for plastics (low quality silane). High quality silane works by created a chemical weld between the finish coat and the original surface. When hot water is incorporated during the use of the surface it forms condensation between the new and old coating. High quality Silane is activated by moisture so when the surface is used it becomes even stronger. The quality of silane is reflected in the price and is as expensive as the copolymer finish coat. It will never be seen by the customer so unfortunately most refinishers skip this crucial step. Refinishing is much more than a specific coating, it is a synergistic process that depends on each step to be correctly completed. Valuable 8 year transferable warranty Included! Owner / Operated which means you have the owner doing the work bringing the experience I have gained since 1992. I do not use sub contractors or Day laborers. I live and work in the Dallas area! 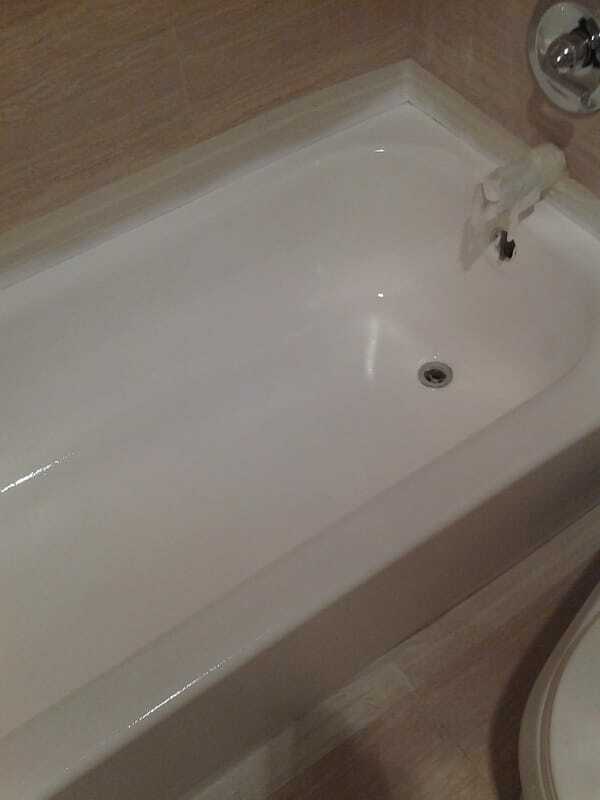 Bathtub Refinishing Dallas TX F.A.Q. My promise to you is Honesty, Respect, Professional attitude! No sales gimmicks. I use Fluoropolymer coatings with very high quality Silane molecular bonding agents. Multiple coats are applied using an H.V.L.P. applicator. I arrive on time, every time! The photos and videos on this site are mine (not stock photos). I do not use Sub Contractors... I am an Owner / Operated Business so I Do All Work Myself. Thank You! For allowing me to do what I love since 1992! I still complete all work myself! In the bathtub refinishing Industry very few companies have employees that refinish. They hire sub contractors and day laborers. I'm not going to do that! I will be the only person coming into your home! Owner / Operated. What is the benefit of hiring a company with 20+ years of experience if the person doing your refinishing work only has 1 day of experience? 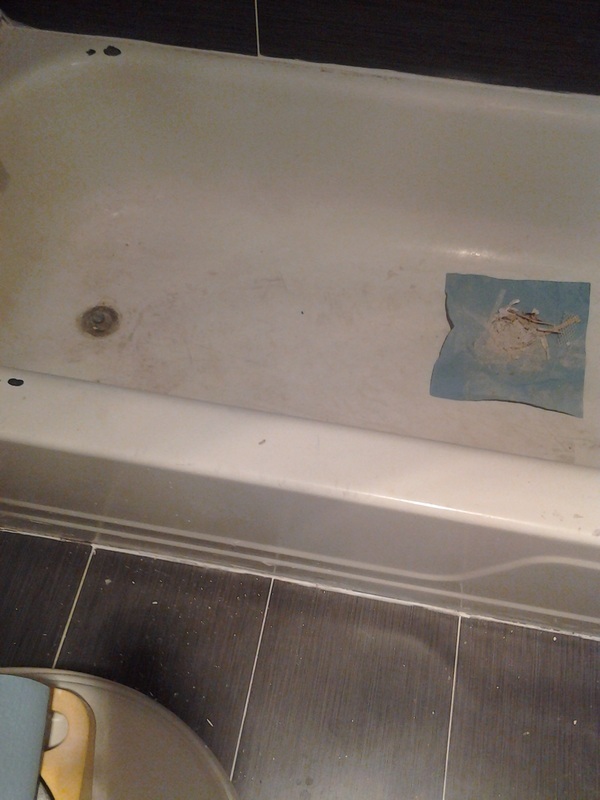 Residential Quality Bathtub Resurfacing. This is NOT Epoxy paint! No cheap Paint. No spray can adhesion promoter can be used! NO Epoxy paint, Automotive lacquer, oil based paint or Acrylic Urethane! I have these and more used on tubs and tile and they fail every single time! Many times within about 7 uses! Even if you don't chose me that's okay... but please understand quality coatings and the silane molecular bonding agents are the key to a permanent restoration process that you can enjoy for years to come! Are You Ready To Instantly Update Your Bathroom? You ARE Going To LOVE IT!! I PROMISE!! No Games - Gimmicks - No Tax - HONEST SALE PRICE!! You will get a permanent surface for the solution to worn, outdated or damaged bathtubs, tile, showers, sinks and vanities. Let me show you the difference. Because Surprisingly most consumers pay for bathtub painting or use a bathtub painting D.I.Y. kit thinking it is bathtub refinishing. Even if you don't choose me PLEASE let me explain the differences so you can make an informed decision. While other refinishers are using inferior paints like epoxy and aliphatic acrylic urethane, which are water resistant. I use not only an etching system to prepare the surface, but also a high quality silane molecular bonding agent to chemically weld the new surface into the old surface. This is followed by a top coat of Factory Kohler white silicone injected fluoropolymer water proof coating. This creates a permanent solution to the old, worn, discolored, damaged or simply uglied out surfaces! Bathtub painting this is not what Dallas bathtubs services does. what is Silane? FluoroCoPolymer Coating? Please just know that Epoxy Paint and Acrylic Urethane paints are water resistant NOT Water proof, My coatings are FACTORY colors and made for Bathtub, Tile and Shower refinishing They are water proof Made to be immersed in water 365 Days a Year & Days A week 24 Hours Per day!! My Pictures and Content are 100% mine. I pledge to remain professional and courteous to both Customers and Competition. I will NEVER 'put down' another persons work. I will NEVER share customer information or ask for a reference. You will not find stock images on my site! My Images are mine. Work completed personally by me. All Videos are mine, work that I personally completed. #1.) Bathtub Refinishing Dallas What Is Included? Chemical wash to dissolve and remove soap and oil residue. Etching of the old surface using a spun-fiber disc that operates at 2,600 RPM. Molecular bonding agent using nano technology hand rubbed into the pores opened through the etching process. This allows the bonding agent to not only bond on the surface level but to penetrate the pores and bond beneath the surface! The final result is a gorgeous, like new bathtub, tile or shower surface! Warranty included. (Not an add on sale like other refinishing professionals) That is the Dallas bathtub refinishing difference. This is a Limited Time only for the sale. Recaulking is included. There is nothing else to buy! It takes less than a day to complete in 99% of the cases and will always be ready for use the very next day!! Lets update your bathroom right before your eyes and add more value to your HOME! Crosslinking of polymers is a process where polymer chains are connected to each other These chains are caused by incorporating heat and allowing the polymer molecules to "link" causing a very, very strong bond.. The basics of how organic peroxides are used in the crosslinking of polymers typical examples of cross linked or (vulcanized) plastics and rubbers are shoe soles, underground and under sea cables (Imagine the harshness of the sea and the reliability that is a must.) Also timing belts and radiator hoses in cars and pipes. This is why technology has advanced in the field of Copolymer coatings. No longer is the Tub and Tile refinishing Industry A quick fix painting service. 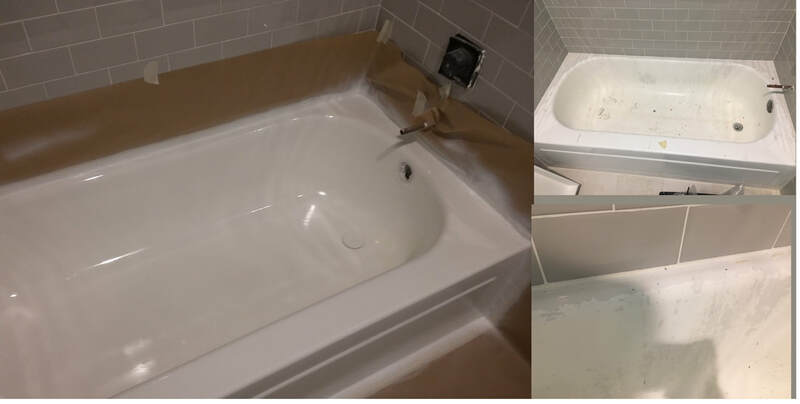 Tub and Tile Refinishing, Dallas bathtubs when correctly completed using the synergistic approach of multiple steps and correct thickness is a permanent fix! No extra charge for weekend Appointments. Saturday and Sunday both. I work 7 days a week. Never Be Charged a penny more than your quote! I Promise!! I offer Owner / Operated Prices with NO up selling and NO SALES GAMES! Learn the difference between bathtub painting and bathtub refinishing and you will learn why the real bathtub refinishing professional would never use paint, epoxy or industrial coating. We use copolymer coatings Which is still only half of the synergistic approach! Ask about having your Vanity Refinished at the same Time as The Bathtub. If you choose white I will quote you a HUGE discounted price and it upgrades the cultured marble finish ten fold! Cultured marble will need fiberglass resin learn more! No more surface cracks in the sink bottom! I know you are like me and other home owners. You want a great job and you want to be fair on paying. However, you also don't want to overpay! Dallas Bathtubs Services is owner operated. This means you get my experience (that first started my senior year of high school in 1991) working on your refinishing project. How about considering making the old look brand new again? Dallas Bathtub Refinishing has several specials and with my up front pricing you can be assured there are NEVER any hidden fees! Dallas Bathtubs is an owner / operated company and services the Bathtub, tile, Sink and Vanity refinishing needs of the Dallas Texas area. I am an owner / operated business that has been servicing the Dallas Area since 1992. I have a completely clean background, Insured and take care of my customers personally. I fuse the new surface into the old, not on top of the old. Which involves etching the surface, Hand rubbing the Molecular bonding agent into the exposed pores and microscopic scratches then applying copolymer finish coat infused with silicone and polyester resin as the final coating for most all house hold surfaces. Dallas bathtubs not only penetrates the old surface to bond a new surface into the old but Dallas bathtubs also now uses a liquid spray in bathtub liner that integrates the new surface into the old surface. Dallas bathtubs will apply a molecular bonding agent. Dallas bathtubs uses a synergistic approach to melt into the new surface now applied and chemically welds an additional (9) coats of Synthetic Porcelain into, not on to the old surface. Bathtub Refinishing Technology has changed over the last several years and Dallas Bathtubs Refinishing has been at the forefront of the technological advances throughout our (22) year career. If you are in the Dallas,Tx. area let Dallas Bathtubs Refinishing help you do your project right the first time! Dallas Bathtubs Refinishing Etches into the old surface, not on top of the old surface. 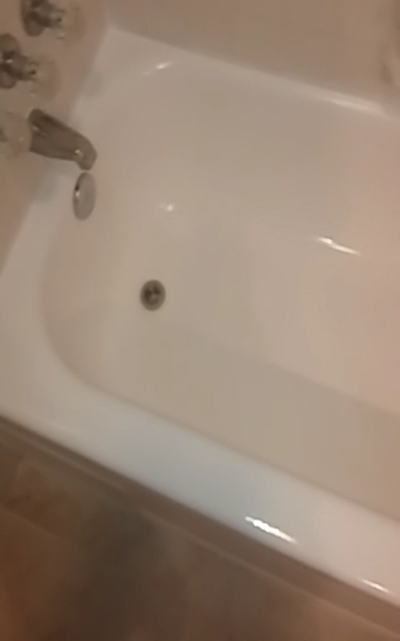 Dallas bathtub refinishing is an owner / operated business and I will be the one coming out to do the work myself. What a true blessing the Dallas area has been to me! Bathtub refinishing and bathtub painting are two completely different things. Often consumers are tricked into thinking bathtub painting with Epoxy paint is actually refinishing. This is why I offer True Dallas Bathtubs Refinishing. 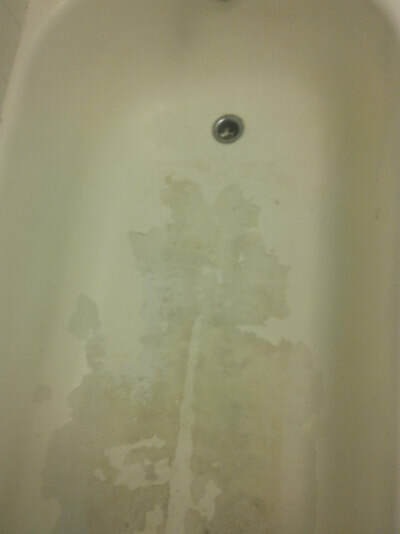 The truth is Bathtub refinishing is a process that should be left to the professionals. Professional refinishing is achieved through etching the old surface, this exposes pores in the old surface, A bonding agebt is then applied so when the finish coat is applied the new surface is bonded to the old surface. Dallas Bathtubs Refinishing NEVER uses the brush and roller system of bathtub painting that others try to call bathtub refinishing. Anytime you simply paint on top of an old surface, especially when that old surface is like a bathtub or even tile surround. You can not expect the paint to last very long. It's Equivalent to painting GLASS, then expecting it to last. Porcelain bathtub Refinishing - This surface would be equivalent to trying to paint glass. It is fired in the factory and has a cast iron core but is coated in porcelain then baked. This surface would be refinished by first scrubbing the entire surface with a chemical cleaner to melt any type of soap residue and oils that may be invisible to the naked eye but will be disastrous to the refinishing process. Next the surface is etched using a mechanical etching tool, NEVER using the very dangerous acids of years ago. Another chemical rinse is done to make sure I have cleaned up all areas thoroughly. Now is the molecular bonding agent. This first molecular bonding coat is then hand rubbed and worked into the microscopic scratches and pores that were caused by the etching process. Now it is time to apply the first coat of the Fluorocopolymer coating on the surface. This first coat melts into the molecular bonding agent so it penetrates beneath the original surface and with a combination of several more bonding coatings and finish coatings of synthetic porcelain the proceed to melt into the prior coating. With a hard surface such as porcelain bathtubs and tile I will use a liquid glass additive in the copolymer coating so it cures to a hard glossy finish. Mimics the Look and Feel of Porcelain!! Fiberglass, Acrylic, Cultured Marble - These surfaces all have (2) things in common, They flex (which is why they crack) and they all contain fiberglass. Not only will the refinishing repair the cracks but adds a lot more strength to the original surface. So when repairing these surfaces and refinishing these surfaces it is best to use a fiberglass resin additive to the synthetic porcelain. They will be cleaned and etched just like porcelain. However, we want to take advantage of the fiberglass resin so the new surface will flex with the old surface. These surfaces will still be finished off with the liquid glass additive in synthetic porcelain. However, since we are making the new surface an integral part of the fixture we will still allow it to flex when under pressure so the new surface does not crack like the surface does when a (one coating fixes all) system is used. Bathtub Refinishing was first recognized in the 1930's. Most of the bathtub,tile,shower refinishing work was completed in the more crowded areas of the United States such as Chicago. In Fact in Chicago you will see bathtub refinishing trucks and vans as much if not more then you see carpet restoration vans here in the Dallas,Tx. area. The reason behind this is because of the amount of work and expense that is associated with replacing a bathtub. A quick trip to any home improvement store will reveal the actual price of a bathtub is only a few hundred dollars. This is just the beginning of the cost associated with bathtub replacement. Bathtub replacement will involve a plumber, then the removal of at least two rows of tile surrounding the ﻿tub﻿ because of the lip around the tub to prevent water leaking behind the tub. Then the mathematics of 'will the old tub go out thru the door and hallway'. More importantly, will the new bathtub fit back in? 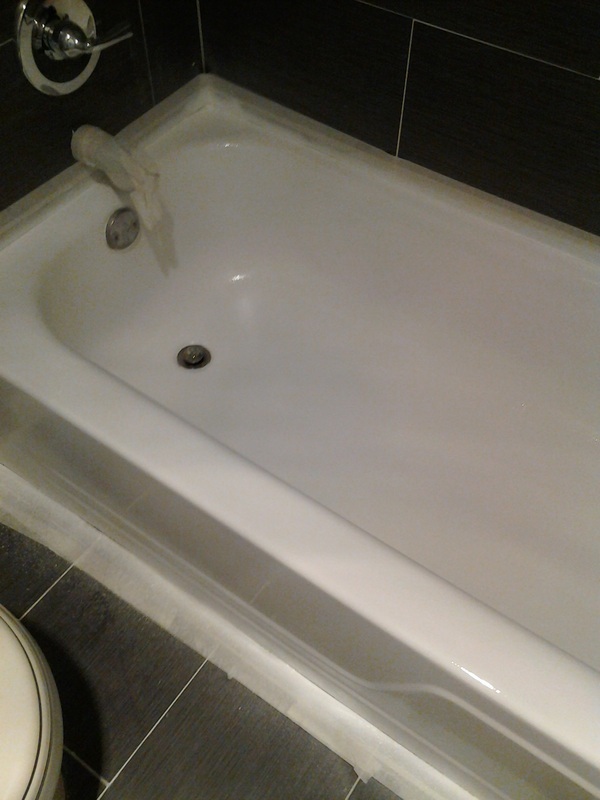 As you can quickly realize after just touching on a few of the issues with bathtub replacement you will quickly understand why bathtub refinishing is a very cost effective and time effective solution. Most all bathtub refinishing can be completed in a single visit. Dust and construction mess is virtually non existent and my flat rate bathtub refinishing Dallas area prices means you will know the exact price to budget! I have seen this more in 2018 than I have in the past several years! First, you need to understand that bathtub refinishing is not painting a bathtub. I have seen more bathtubs and tile painted in 2018 than I have in the last several years. (One job the customer admitted they had considered me 2 months earlier but went with a cheaper price) I promise I understand! However, I need to explain why prices are set the way they are. Epoxy paint, lacquer automotive paint, oil based paint... I have seen it all. Why throw away money on something that is going to only last a few weeks or months at best! The question is not "If it is going to peel?" But rather "How soon is it going to peel?" The fact that paint goes on top of the old surface has more blame, the key word being paint! Also to blame are the cheap lacquer thinners! So many times instead of purchasing the specialty thinner designed for correct coating Lacquer thinner is used because.... well, it thins the coating and it's half the price of the correct thinner. (Correct being the key word here) See, it's not about making something look pretty good (that's not hard to do) ... it's about trying to duplicate a factory finish and provide years of service! Lacquer thinner contains alcohol and other fillers that leave the coating brittle in areas. Etching the old surface opens pores and creates microscopic scratches. This crucial step is being dismissed for the sake of time. (New methods want to bond with epoxy paint primer).... I don't mind spending the extra time for a proven method! Silane is a molecular bonding agent developed by the Aerospace Industry! (used in the dental industry for bonding porcelain fillings) once again the quality varies from supplier to supplier with 100's available) High quality silane is worked into the pores of the etching process, and high quality silane is applied between coats to tie the coatings together. It is an expense and it is not going to be seen (so many will skip on this step)... yet the lack of it will surely show in a matter of weeks! So How is my refinishing completed? With bathtub refinishing Dallas services you will quickly see this is not a specific coating... it is a process a synergistic process that works together with each step being crucial to the outcome! First, I sanded and stripped back the paint that failed! Then I etched the old surface using a spun fiber disk rotating at 2600 RPM. 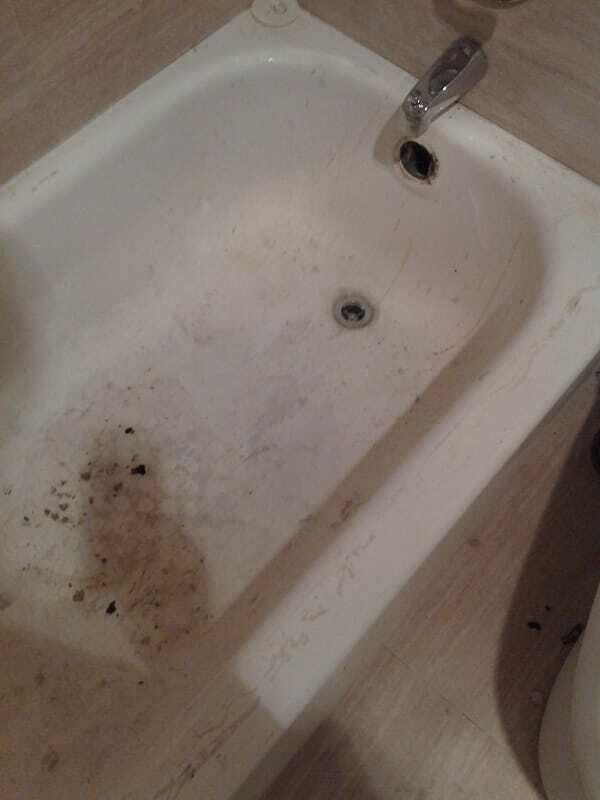 Everything was then clean with tub and tile clean. After this Silane was hand rubbed into the surface before being refinished with a Copolymer coating that is infused with polyester and silicone resin for a superior gloss and then chemically welded into, not on top of the surface and tied with silane bonding agent between the 12 coats.This is Not Epoxy paint that yellows,dulls and fades and Not Alipahtic Acrylic Urethane paint like the others use! This dries to a non yellowing, ultra hard and chemically bonded surface that is expected to last 20 years before needing to be refinished again! It includes a valuable 8 year transferable warranty! So if you sale or lease your home you are covered! See my price list for prices and warranty (true warranty that is NOT prorated!